We got to talking about leadership styles. She and her husband are a total team, and both support 100% the people in the units they are assigned to. They are the kind of people that know the names of every airman, their spouses and their kids. They are in tune with more than the mission; they are in tune with every person getting the mission done. At our recent lunch, we got to talking about leaders that are the opposite. The stoic types. The ones that keep their distance unless they are sitting at your table at a formal dinner or on an official tour. (see this take on base tours here) The ones that never talk about their own family let alone about yours. We commiserated that this is the type of leader that is being groomed and promoted by our Air Force. That somehow personable leadership styles are considered a negative. More and more I consider myself exceptionally blessed with the unit I got to command. At a deployed location so much of the queepy stuff goes away. And you are 100% manned. And we were also about as far as you could get away from the Pentagon and still be on the same planet - meaning - I could be myself with not a lot of oversight :-) But why is this a unique case? 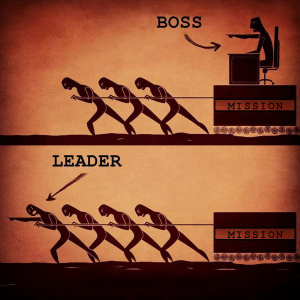 Why can't we let leaders lead in the way that fits them and their unit, instead of an institutional ideal?